Shopping has always been something of a hobby for me. When I was young, my mother would pick me up from school each day and take me to the mall. We'd get ice-cream and browse; handbags for her, Barbies for me. I still feel so comfortable at that mall. I've often referred to it as my "second home", a safe place in a world constantly changing. I've struggled with spending on and off for years. I made a lot of frivolous purchases in my teens, spending everything made working part-time jobs, but started to adopt a more minimalistic approach to stuff in my early twenties. I have closet purges twice a year, and really enjoy the feeling of a fresh start, a more simple routine and an uncluttered space. I could confidently say my spending was under control, albeit not perfect. Unfortunately, things took a sudden turn for the worse when I discovered Sephora. I'd never been interested in luxury makeup, contending that drugstore brands are just as good. I could never justify paying a ridiculous price for a skin cream, or what would equate to four nice lunches out for a bottle of foundation. With the opening of my town's first Sephora location, though, I began popping in once or twice a year for a special purchase. Usually I stuck to travel-size palettes, something I could afford without much thought. My first purchase was Too-Faced's White Chocolate Chip palette, and though I didn't care for the formula and have long-since returned it, The spark of a love for "fancy" makeup was lit. The growing of my collection has been an intoxicating whirlwind. In the past month, my conquests include tinted sunscreen, primer, setting powder, two travel-size lipsticks, a travel palette, mermaid-tailed brushes (the pride and joy of my vanity table), a lipstick in the most shocking shade of violet, and even a color-changing unicorn balm. This is not including the clothing I've purchased, which was more than one item, in case you're wondering. I'm not writing this list to brag - just the opposite. I'd like to confess that I'm ashamed of the way I handle money. I'm not by any means rich, and this lifestyle is not sustainable for me. 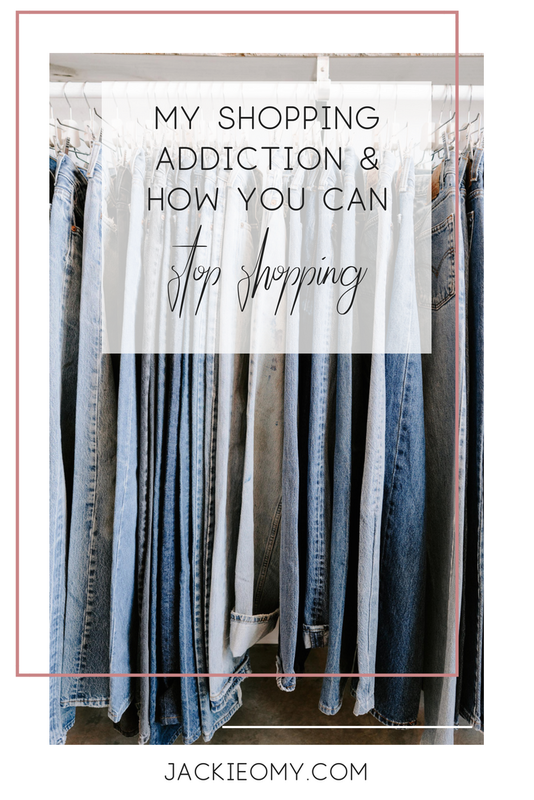 To say I'm addicted to shopping feels extreme, so instead I will say that I am a compulsive shopper, and I'm ready to kick my habit. Shopaholic...you mean like Cher from Clueless? The term "Shopaholic" is casually, affectionately thrown around. On a fun day at the mall with a friend, you may chuckle and call her a shopaholic. But real shopping addiction is not cute. It has the potential to distance relationships, strain finances, and even cause anxiety and depression. It's a real problem with real roots in mental health. A recent poll of British women aged 30-45 found that the 'average' woman spends up to £15,000 on clothes, shoes, and accessories each year. The typical woman's wardrobe contains more than 150 items, 30% of which will not be worn for more than a year at a time. In fact, the UK's unworn clothes, hung on a single rail, would stretch from London to New York - and back. Twice. 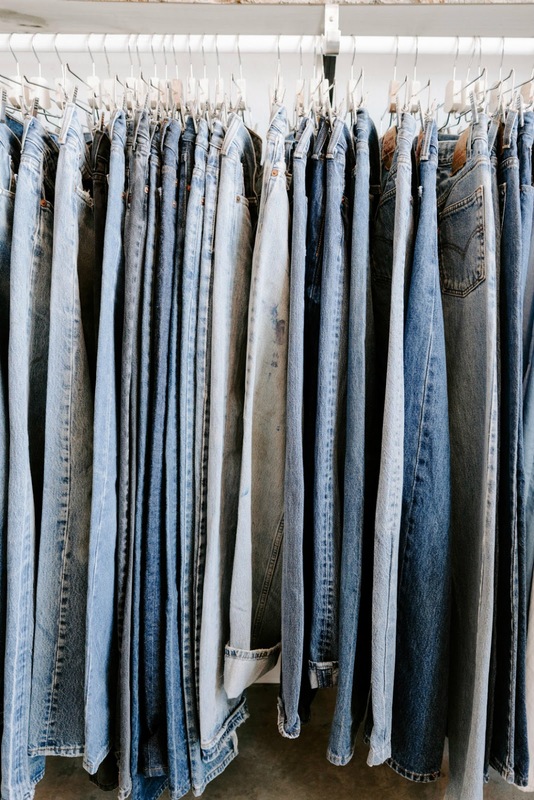 Of course, we do occasionally manage to offload them - 350,000 tonnes of used clothing end up in UK landfill sites each year. It seems we are a nation with a shopping addiction. Can you even believe those numbers? As someone with more a few unworn items in my closet, I say no more. I feel like the first step is coming clean here - baring my soul and my receipts. The next step is to purge my spending habits. My shopping ban started on July 1st, and will end August 1st. You may feel like just dipping your toes in with a solid two weeks, while some people pledge an entire year to start. Personally, I want to try 30 days before reevaluating the rules. No browsing online stores. I've already installed a browser site-blocker and unsubscribed from all my shop emails. Done and done. I will purchase absolutely no makeup. I will purchase absolutely no clothing. This will be the real challenge for me, as those end-of-Summer sales are calling me already. No new books or home decor. Items I can purchase include hygiene products, food items, and other items reasonably considered necessities. I will still be allowed to eat out. Entertainment, such as movie tickets are allowed, but no high-priced events, like concert tickets. Replacements for items that break or run out will be considered if necessary. My main hope with this challenge is the find places to go other than malls. It's freeing in a way to imagine how much time I'm finally going to have to participate in the hobbies I never have time for. It's also a bit exciting to see how wearing my current wardrobe feels without constantly thinking about the holes in it I could fill with just one more pair of shoes. I'll be posting my progress in August, and I would love to hear if you decided to take the plunge with me! Let's save this Summer, for our wallets and our environment. Have you ever tried a shopping ban? Would you?